Gour Hari Dastaan is the story of a forgotten Odia freedom fighter, Gour Hari Das, who fought a silent battle against how own government for recognition as a freedom fighter. After more than three decades, at the age of 84, he finally ended up with a certificate- and a bittersweet victory. 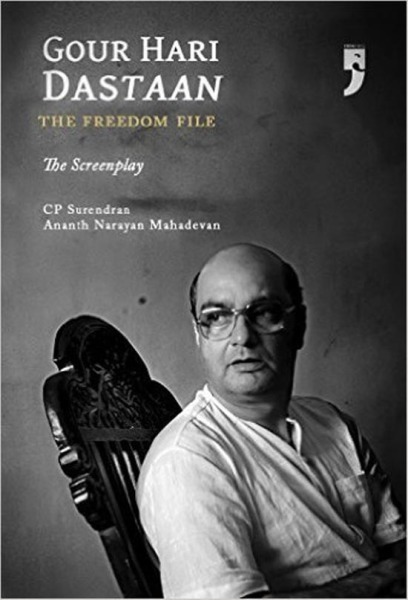 The Screenplay of this powerful film is supported by stills from the film and an introductory essay by director Ananth Mahadevan about the inspiration behind it as well as the process of writing the screenplay along with acclaimed newspaper editor, novelist and poet CP Surendran.